View Galleries : Geert Bauke Kortleve has 577 galleries and 5995 images online. These pages have been viewed a total of 531220 times. View Guestbook : 7 messages. Most recent on 15-Apr-2019. 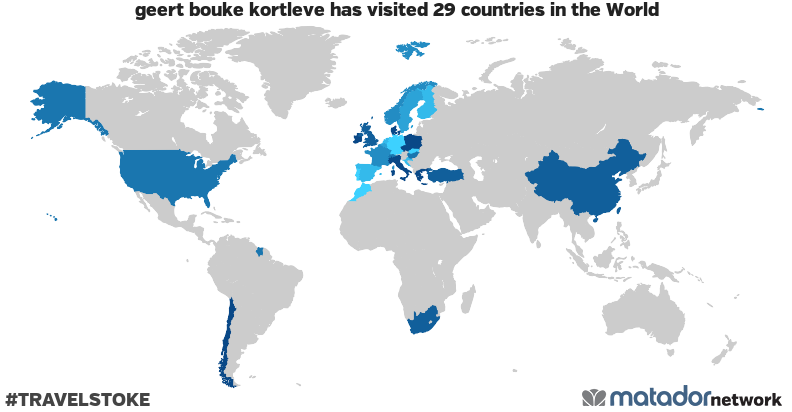 geert bouke kortleve has been to: Belgium, Switzerland, Chile, People's Republic of China, Czech Republic, Germany, Denmark, Spain, Finland, France, United Kingdom, Greece, Hong Kong, Croatia, Hungary, Ireland, Italy, Luxembourg, Morocco, Netherlands, Norway, Poland, Portugal, Sweden, Slovakia, Suriname, Turkey, United States, South Africa.